You should be drinking fluids every 15-20 minutes and cool water should be the main source of your hydration. Other fluids like Gatorade, Powerade and Coconut Water are also a good source of hydration. Avoid drinking coffee, sodas, and alcohol because these are beverages that can cause and aggravate dehydration. This mainly applies to workers that are new to construction. To acclimatize yourself, do about 50% of your normal workload and gradually work up to 100% over the next week so your body can adjust to the heat. Wear light-colored, loose-fitting clothing. Breathable fabric is a good choice because it absorbs moisture. This allows your body to cool quickly, which is helpful in humid situations. The temperature usually peaks between 3:00 pm and 6:00 pm. The earlier you start your day, the better off you’ll be. Take frequent breaks in the shade to avoid heat-related illnesses. Whenever you feel overheated, you should take at least a five minute break in the shade. Use this time to rehydrate if you haven’t done so already. You should be wearing sunscreen whenever you are working outside, even on cloudy days. Apply sunscreen that is sweat-proof or waterproof to ensure that you don’t sweat it off when you are working. To cool your body temperature down, try getting inside an air-conditioned space like a vehicle. You can also apply a cool, wet cloth to your pulse points to cool your body down. Employers and workers should always be aware of the heat index throughout the day. OSHA has a Heat Safety Tool that can provide accurate readings of the heat index and give warnings when you should be taking caution. 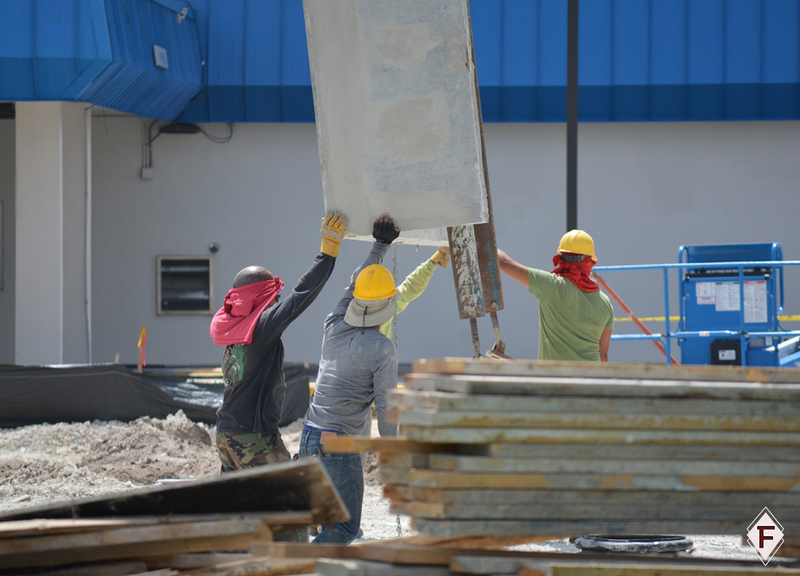 Heat stress, heat rash, heat cramps, heat exhaustion, and heatstroke are all heat-related illnesses that can occur while working at a construction site. Symptoms can arise quickly and your workers should be trained in knowing the signs and symptoms. Every year, thousands of workers are affected by heat-related illnesses. Want to keep your subcontractors happy? Make sure you are working with the best! If you are looking to add natural stone to your home or business, contact us at Firenze International!